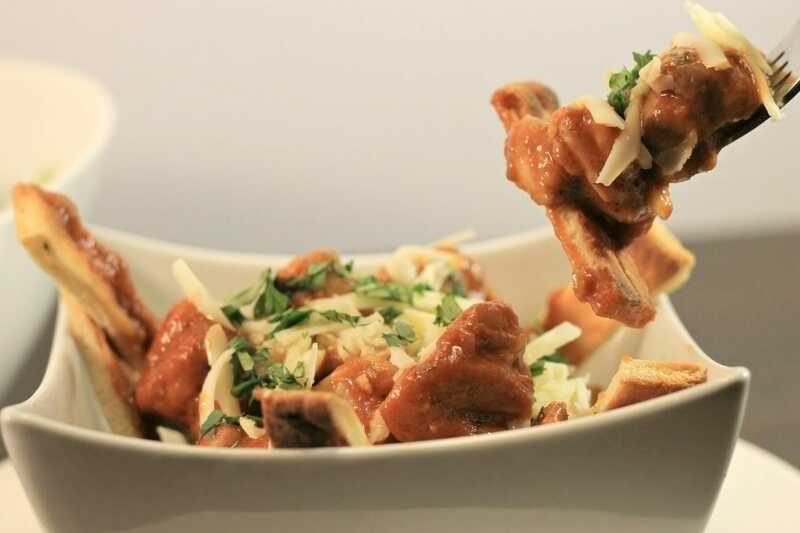 Butter Chicken Poutine with Naan Bread Fries - THE OLIVE BLOGGER - Recipes your family will love! This sounds to-die for!! I recently went paleo so I’ll have to exclude the naan (wahhh!!!!) but I still want to make the dip part!! It is REALLY good! I think you can still make it work without the Naan, let me know if you try it out! I love Naan Bread and I am always looking for new ways to use it. Iw ill certainly be pinning this. You will LOVE it! Such a fun meal to make and it tastes incredible! Oh wow those looks delicious. This all looks so amazing! Yummy! Sounds so good and looks easy enough to whip up for dinner tonight! Thanks Amber, it really was super EASY and the flavor will blow your mind! We can’t wait to make it again! This is so insane. As a proud Canadian, I eat a ton of poutine. I cannot believe you are mixing two of my favourite foods!! SO TRYING THIS! Thank you for sharing! There are so many things about this dish that I love! I will be making this ASAP. You will be so happy you did!!! Enjoy! Naan bread is the best! And to go with this wonderful combination is out of this world! Thanks for sharing! It is a fun and unique recipe! I hope you give it a try!